Associate Investigator Professor Murray Cox is applying the tools and methodologies of complexity science to explore some of the enduring mysteries of human and agricultural genetics. His transdisciplinary DNA detective work could lead to new health treatments or the development of green pesticides. 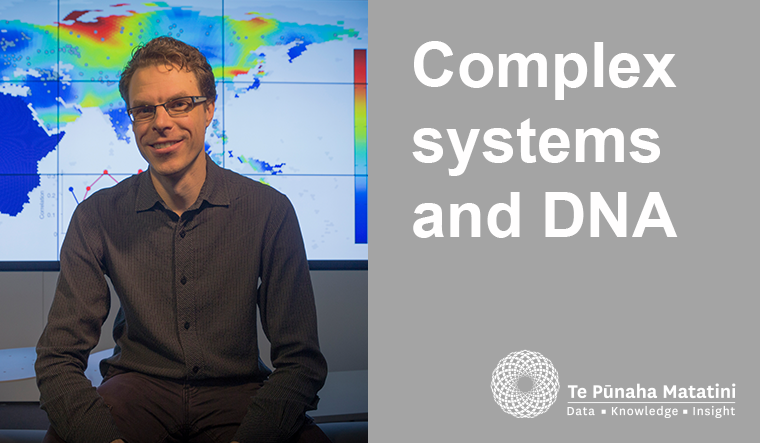 “I find it really interesting that complex systems or complexity science has such a wide scope,” says Professor Murray Cox, a computational biologist based at Massey University’s Palmerston North campus. It’s a statement that easily embodies Murray’s own work: half of his research looks at human DNA to help determine historical migrations around the world, and the other half investigates agricultural genetics to explore the differences between pathogens and beneficial organisms. It’s the kind of research that’s not necessarily mainstream to complexity science but, as Murray points out, a lot of his work is interested in transitions or feedback mechanisms – things that pop-up regularly in complex systems. Murray initially trained as a biochemist at the University of Otago before venturing overseas to study for a PhD in Norway. After a stint at the University of Cambridge, he moved on to the University of Arizona and held an adjunct position for two years at the Santa Fe Institute, a world-renowned complex systems research centre. Working at the Santa Fe Institute proved influential to Murray’s work and he has maintained his international connections. It was the advent of Te Pūnaha Matatini, though, that had him excited about the future of complexity science in his home country. “There really wasn’t a lot happening in regards to complex systems in New Zealand until Te Pūnaha Matatini came along. It’s a combination of genetics, anthropology and computational biology that has enabled Murray and an international team of researchers to investigate the origins of the first people to settle in the Pacific. Their findings confirm Asian farming groups were the first to reach Pacific Islands, with later migrations bringing Papuan genes into the region.  The international study, recently published in Nature, also gave the first basic picture of the genomic make-up of Pacific Islanders. Unlike European New Zealanders, where scientists can leverage off research done in the UK and USA, very little was known about the genomes of Pasifika and Māori. “We knew that they had a mixture of both Asian and Papuan ancestry, but had no idea how this came about or when,” Murray says. The other side of Murray’s work explores the interactions between the environment and agricultural genes to explain the spectrum of beneficial and non-beneficial pathogens. For instance, the Epichloë fungus found inside some grass species can produce compounds to deter insects, preventing the need to spray insecticides. Ordinarily the grass might attack such a fungus, deterring it from taking hold inside the plant. “Complex feedback systems where chemicals signal between parties may explain how the symbiotic interaction between the grass and the Epichloë fungus arose, and how it is maintained,” Murray says. Whether he’s studying human or agricultural genomes, or combining anthropology with biology, mathematics and statistics, a common thread in Murray’s work is a complex systems approach. “Sometimes researchers such as biologists are working on complex systems but they’re not trained in it so they don’t see it when it’s right in front of them. Professor Murray Cox is a computational biologist in the Institute of Fundamental Science at Massey University and an Associate Investigator of Te Pūnaha Matatini. In 2015, he was awarded the Association of Commonwealth Universities Titular Fellowship to spend three months in early 2016 at St John’s College, University of Oxford. Professor Cox has also received a 2016 Fellowship from the Humboldt Foundation for sabbatical visits in 2017 and 2018 to the Max Planck Institute for Evolutionary Anthropology in Leipzig, Germany. In 2010, Professor Cox was awarded an inaugural Rutherford Discovery Fellowship by the Royal Society of New Zealand. The five-year Fellowship enabled him look both at human prehistory in the Pacific and gene regulation in fungi, which are important for controlling insect pests in New Zealand’s pastures. Professor Murray Cox’s work has appeared in two Nature publications and a number of media articles in September and October 2016. Genomic analyses inform on migration events during the peopling of Eurasia, Nature 538, 238–242 (13 October 2016).